Stephen: I’m more of a Zelda guy than a Mario guy, so I would have preferred to figure more things out with other players at the same time. But I’m enough of a Mario guy—and enough of a Metroid Prime guy—to know that jumping from one spaceship to another in first person might be fun once or twice, but jumping onto little ledges in a sloped cavern, avoiding pistons along the way, is no fun even once, not with this game’s camera, controls and tools. King’s Fall is marvellous when your Guardian’s feet are on the ground, during that relay section where you’re trying to open a door and during the fight against that really powerful ogre. That stuff’s good, but not good enough to make me want to run it again. Kirk: To what Luke’s saying, that’s interesting—for me, the best part of the raid is the trial and error process. You work as a team and find strategies for the fight, and there’s always this moment when you realise that you’re on the right track… and then you finally beat the boss and it’s a huge rush. I’ve noticed that for my core raid group—a collection of around 10 people who run it every week—we’ve already become fairly mechanical about the whole thing. 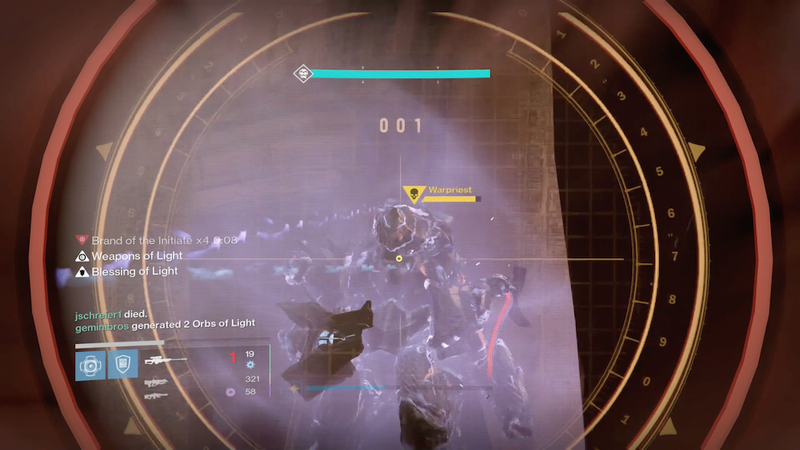 We run the raid for loot, which is much less rewarding and exciting. I already miss that initial rush of discovery and excitement. Kirk: Oh, believe me, you’re not talking to a raid apologist or anything. I think King’s Fall is really good, but I can understand you guys’ criticisms so far. 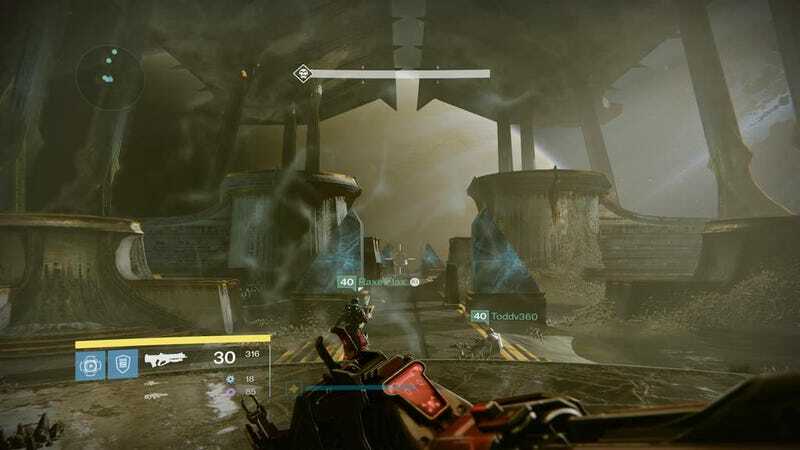 The raid has some striking visuals, but the Hive aesthetic is a drag in general. 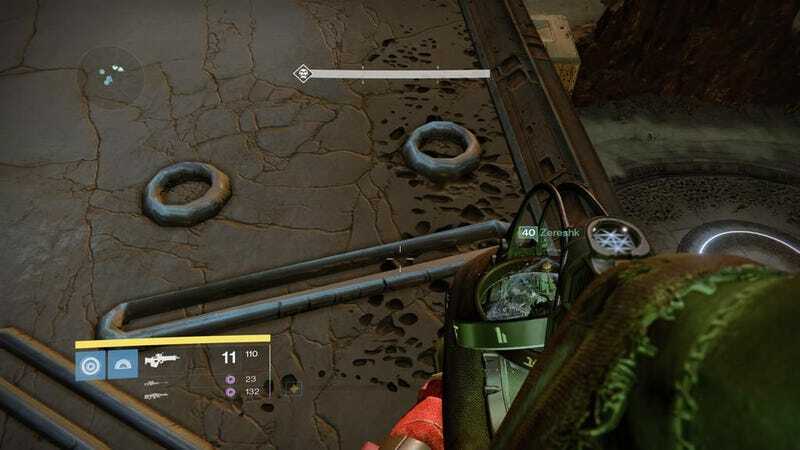 We’ve only had three raids in Destiny, and two of them have been hive-themed. Considering how cool this game can look, it’s too bad that so much of Destiny has been spent on this race of dried-out space-mummies. 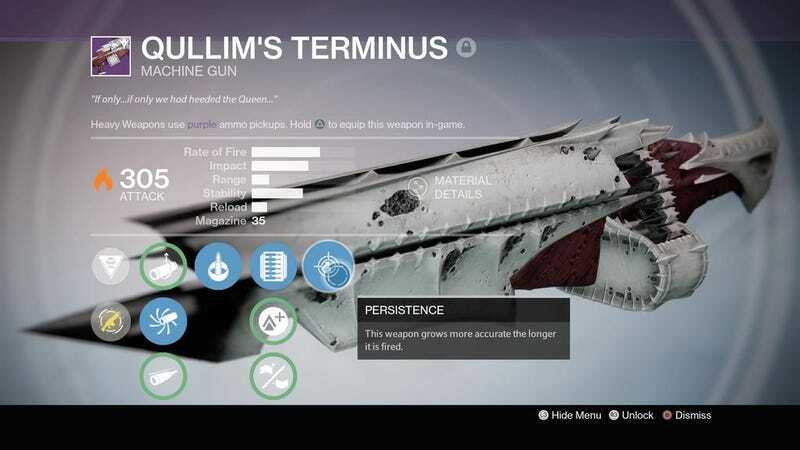 Like, hooray, another collection of chitinous raid armour and guns that look like peeled shrimp. Awesome. Kirk: At least there’s infusing. I mostly use raid armour to infuse other better, cooler-looking armour that I’ve specifically chosen for my character to wear.